Clay's Concrete Counter Tops is a family owned and operated business, serving Edmonton and surrounding area for over 15 years. Clay's offers a top quality concrete product, exclusively fabricated to meet the needs of our diverse clientele. Expert installation and customer service are a guarantee that our countertops are a feature you'll be proud of for years. Whether you're building a new home or working on a renovation, Clay's can ensure that your project is completed with outstanding professionalism and effort. 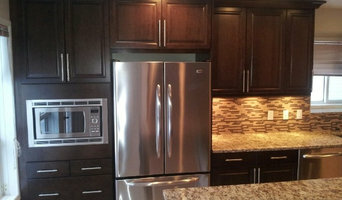 Edmonton Kitchen & Bath Cabinet Inc. Since 2005, we have been providing quality RTA cabinets throughout Western Canada. Meanwhile, we run our own custom cabinets shop in Edmonton for over 20 years. Supply cabinets and design services for the do-it-yourselfers. We have in stock 4 styles of cabinets for quick delivery or you can order in from our full line of cabinets within 4-6 weeks. We have trained designers on staff to help with designs and questions on your next kitchen or bath project. 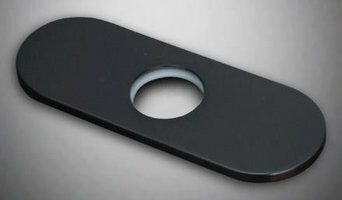 At Vanity Edmonton, we always carry premium quality products of the latest trend at an amazing wholesale price range. Our vision is to develop products based on the concept of sustainability. Our dedication to this principle and philosophy of manufacturing with the lowest possible impact on the environment, while using the most advanced technologies, has earned Vanity Edmonton a reference point in the bathroom vanity industry. And at Vanity Edmonton, we are dedicated to bringing you an one-stop shopping experience. By that we present to you not only a wide range of product lines, but also the designs themselves, and the lifestyles they create! Through careful pairing and matching of every component, you need not worry about running around trying to just mix and match. Every element you see is included in the vanity set to maximize visual explosion. Our products are featured in high-end residences, condominiums, posh lounges, clubs, and restaurants around town! So please, indulge yourself in the space you envision with our latest product lines and let our team of professionals help you with your bathroom solution and bring to you the contemporary and minimalist bathroom vanities for a price you won’t believe with top quality assurance!!! Premium Quality at Affordable Price, Guaranteed! Design, manufacturing, installation, If you can think it we can build it. 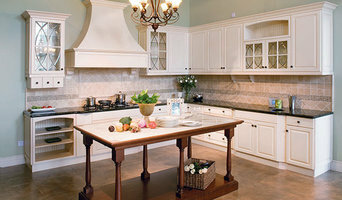 Designers & manufacturers of solid wood kitchens & accessories. Wholesale Bevel & Edge Ltd. is a privately owned and operated company, proudly serving Canadians for over 30 years. Our state-of-the-art facility boasts the latest glass manufacturing equipment (automated cutting table, CNC, tempering furnace), thus becoming your ONE-STOP glass shop. Wholesale Bevel & Edge Ltd. is the only Edmonton-based facility that is 100% self-sufficient; we do it all – from design and cutting, to fabricating, tempering and installing our own products! "We are not interested in ordinary or everyday mirror and glass projects. We are interested in truly amazing, one-of-a-kind artworks,” said Gary Quaghebeur, owner and president of Wholesale Bevel & Edge. "When we do a job, we take pride in our creation. Each piece is unique. When a project is done in four days, not four to six weeks, and it is beyond quality and safety standards, we know we’ve done our best.” And the best is what the clients of Wholesale Bevel and Edge want. In fact, the best is what our clients demand. We specialize in hand-crafting one of a kind kitchen range hoods to compliment and enhance the look and feel of virtually any kitchen design. Every one of our range hoods is made entirely from scratch, allowing you to customize the design, material, and fan system for your hood to suit your own unique needs and taste. Whether you choose to use one of the hoods in our portfolio as inspiration, or create a design all your own, we will work with you from beginning to end to create a stunning focal point for your kitchen. 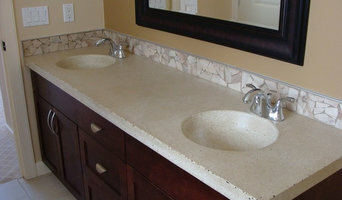 At Ideal Tile And Terrazzo we custom fabricate stone and tile for both Commercial and Residential applications. Our experienced staff is happy to satisfy your needs big or small. Whatever you need, from an island top to a complete kitchen renovation – our certified technicians are Ideally equipped to meet your project needs. Today in our 18 years of business and 10,000 sf of building, we have assembled a team that we feel is at the top of the fiberglass tub and shower industry. We take pride in doing a good job and build the best fiberglass plumbing fixture available to the market. Small business is based around a good team and the team is what will get you to the top. In order to stay at the top you need to offer good service, good consistent product at a great price. The team we have assembled give us these attributes. **FREE GRANITE COUNTERTOPS WITH COMPLETE KITCHEN OR BATH CABINET ORDER (some restrictions may apply, visit our large showroom for details). We are your all-in-one kitchen and bathroom renovation resource. With over 25 years of experience, we combine quality custom cabinets and granite countertops with expert design and remodeling services to achieve exceptional results. At Authentic we strive to make sure our customers get the greatest value for their money. Whether it be a small project, remodel or an extensive custom new build, we will take care of every aspect of the job. We invite you to experience the value we offer. Visit our 7,500 sq ft combined showroom/warehouse or call today for your free in-home design and estimate with 3D rendering. Importers and Manufacturers of old style faucets, victorian faucets, old fashion clawfoot tubs, and roll rim tubs, faucets, curtain frames, shower heads and hand showers. Specializing in designs like American Classic, French Provincial, and Victorian Styling. Providing Old Fashioned Styling for your home or business. Use the Houzz Professionals listings to find Saint Albert, AB kitchen and bath accessory vendors. Don’t rule out asking a kitchen manufacturer’s design team for help, too. Skills often can be overlapped to save you time and money! Here are some related professionals and vendors to complement the work of kitchen & bath fixtures: Kitchen & Bath Designers, Kitchen & Bath Remodelers, Interior Designers & Decorators, Cabinets & Cabinetry. Find kitchen and bath fixtures and accessories, plus installation experts, on Houzz. Check out Alberta kitchen products and installers, and bath plumbing products and installers, on Houzz. You can also look through project photos provided by Saint Albert, AB renovators, retailers and designers.